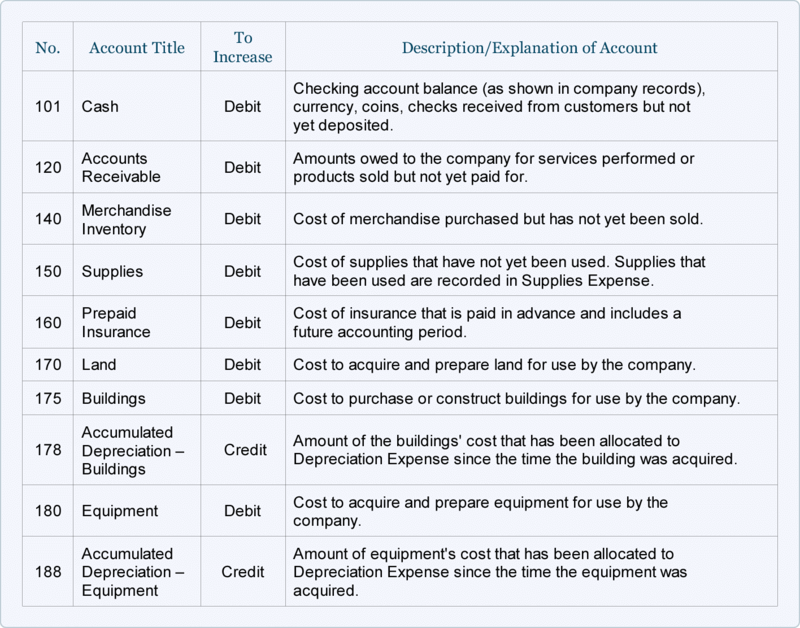 This is a partial listing of another sample chart of accounts. Note that each account is assigned a three-digit number followed by the account name. The first digit of the number signifies if it is an asset, liability, etc. For example, if the first digit is a "1" it is an asset, if the first digit is a "3" it is a revenue account, etc. 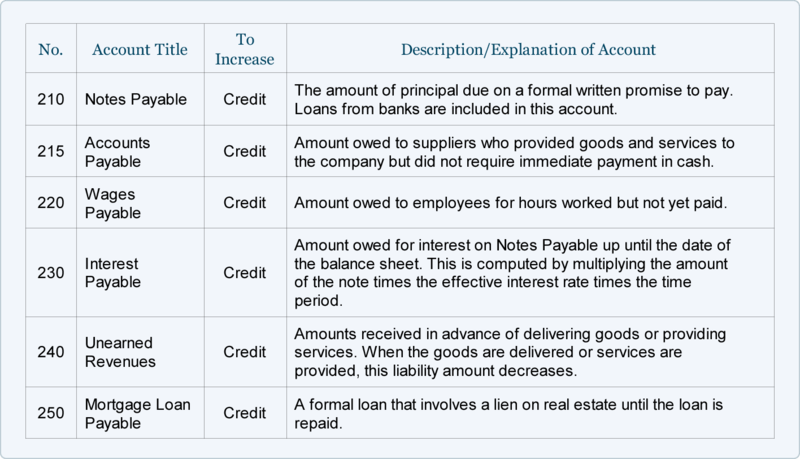 The company decided to include a column to indicate whether a debit or credit will increase the amount in the account. 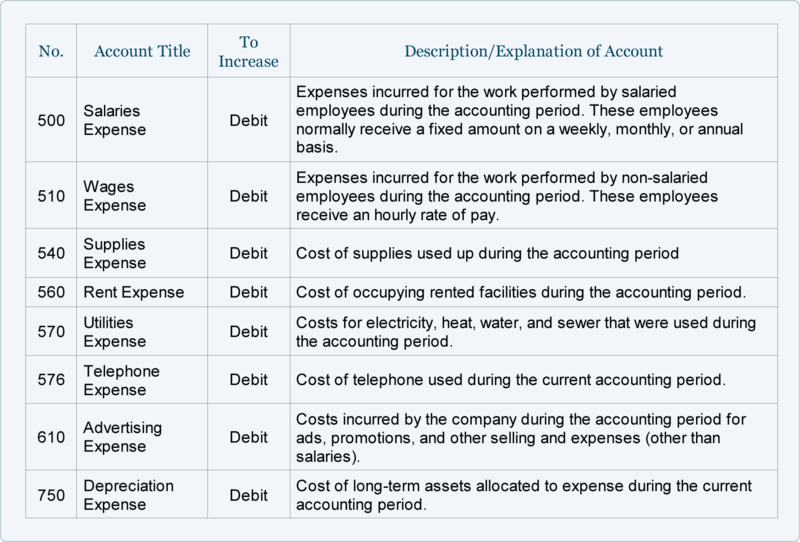 This sample chart of accounts also includes a column containing a description of each account in order to assist in the selection of the most appropriate account. Accounting software frequently includes sample charts of accounts for various types of businesses. It is expected that a company will expand and/or modify these sample charts of accounts so that the specific needs of the company are met. Once a business is up and running and transactions are routinely being recorded, the company may add more accounts or delete accounts that are never used. 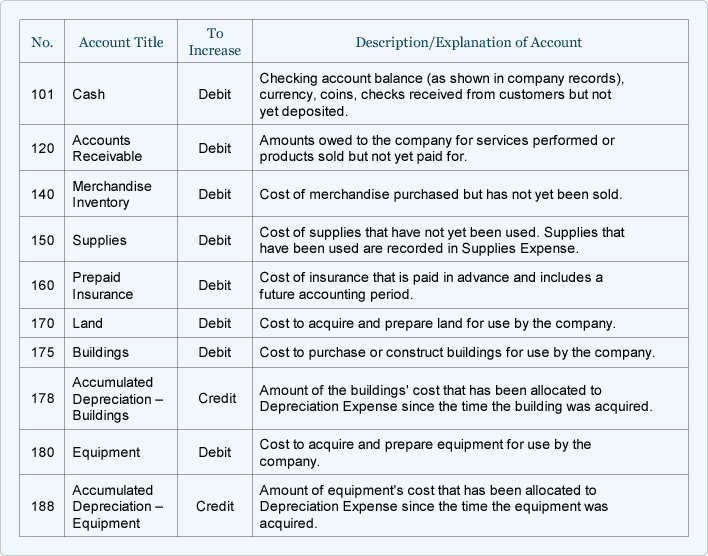 The chart of accounts lists the accounts that are available for recording transactions. In keeping with the double-entry system of accounting, a minimum of two accounts is needed for every transaction—at least one account is debited and at least one account is credited. When a transaction is entered into a company's accounting software, it is common for the software to prompt for only one account name—this is because the software is programmed to automatically assign one of the accounts. 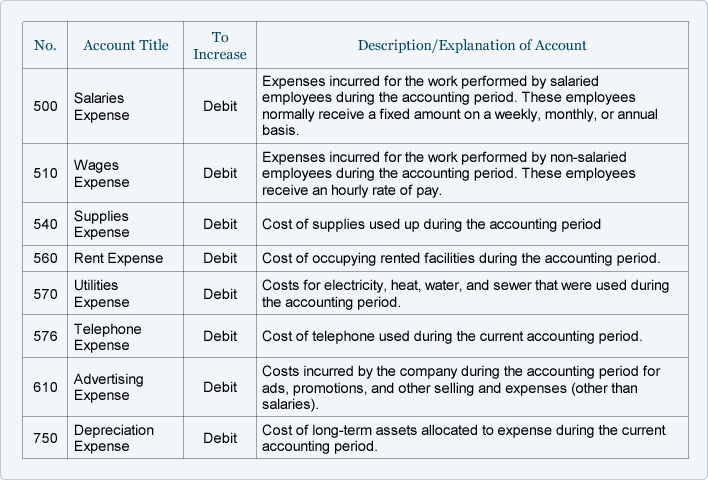 For example, when using accounting software to write a check, the software automatically reduces the asset account Cash and prompts you to designate the other account(s) such as Rent Expense, Advertising Expense, etc.